In Person - japancontrolpanels Webseite! MED gives more than six free seminars a year on issues pertinent to control panels. Popular topics include “International Standards” and “Cost Effectiveness”. The seminars are always filled to capacity well in advance with a waiting list. Our seminars are divided into three sections. One of those sections will feature your company’s product. We frequently invite company representatives as guests to speak at our seminars. 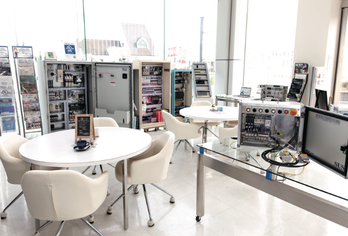 Our factory features a homey style café where customers can come and look at our control panels and products to their hearts content. We have created a showroom that feels like a living room, where customers can come, have a coffee and have as many products demonstrated for them as they desire. This setup is unique in Japan, where showrooms are generally formal and stodgy. We understand that we are control panel people sharing information and technology freely with colleagues. 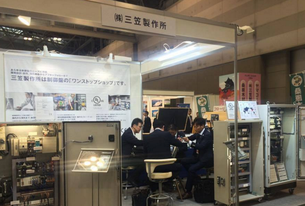 Along with demonstration models we have many machines from the different companies we are profiling as well as control panels meeting both United States UL and Japanese specifications. For those customers who cannot travel to our showroom we have all the showroom features available online, except for the free coffee. We will feature your product on our showroom floor as part of the price of our promotions package. We will work hard to promote your product to show room visitors. Video introductions of our showroom for Japanese customers. 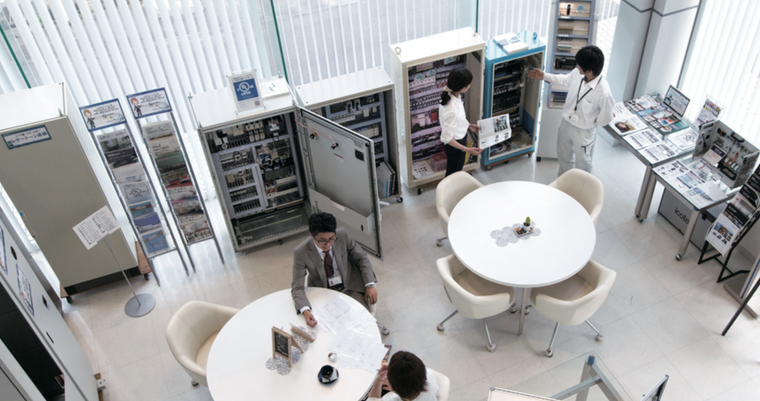 Part of our commitment to excellence in Japan is our interaction and interface with the international community. 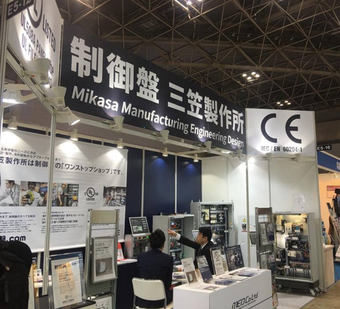 We are the industry’s trailblazers in Japan.